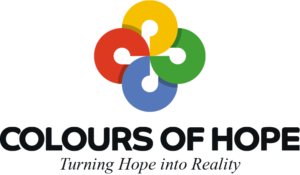 By donating to a Colours of Hope campaign or project, you are authorising us, on your behalf to utilise donations for the specified project or cause to the best of our ability. However, should a specific project end or a target be reached and surplus funds remain, donations will be utilised on other charitable projects. Please ensure that funds are referenced correctly. If any funds are incorrectly referenced or not referenced, Colours of Hope may use those donations for any project at its discretion. If insufficient funds are collected to complete a project which you have donated towards, Colours of Hope will then use its discretion to either add funds to the insufficient from general (lillaah) funds to complete the project or continue with the collection for the charitable project. Donations are non-refundable as they are sometimes utilised almost immediately so please be sure of the amount before you donate. For general donations or administration costs, only lillaah is accepted, no zakaah. Reference will be admin or general. For all other projects or ongoing projects, reference will be the project name followed by the letter L (if its lillaah) or the letter Z (if its zakaah). Regarding zakaah, we try to distribute it as quick as we can. Should you want the zakaah to be distributed immediately, we can distribute it locally (in South Africa) to valid recipients of zakaah. Email us or give us a call should you have any query. These are our conditions for accepting and distributing your donations. We thank you for your support in uplifting humanity.